Water is a natural and environmental resource by definition, but because of its uttermost importance for human life…. water is also a social, cultural, and economic resource. Increasing demands for water by a diversity of users and uses have often also turned water into a political resource. World history is full of examples of competition for the allocation (and reallocation) of land and water resources, followed by processes of conflict and/or cooperation involving different actors – be it farmers, pastoralists, local and national governments, private companies, or even external actors, such as colonial powers in the past, or international financial institutions nowadays. In the last decades, academics have been very prolific in the analysis of ‘water conflicts and wars’ on one hand, and ‘water cooperation and benefits’ on the other hand, to finally conclude that both conflict and cooperation actually co-exist! Beyond analyses characterised by often useless dichotomies, what we can observe nowadays in different parts of the world are numerous examples in which water is increasingly being politicised and securitised, i.e. where water-related issues are jumping the queue of political priorities and are even been framed as, or transformed in, security issue. Below are some examples (by region) and some links for further exploration of the topic. The importance of water resources in the geopolitics of the Middle East is a long-lasting topic. 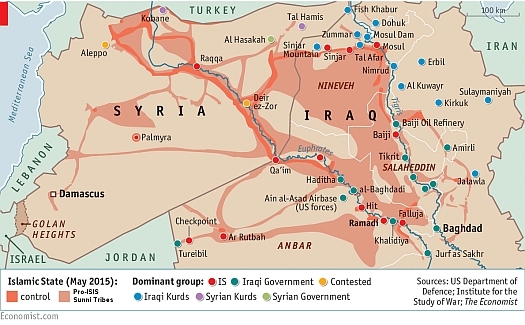 The Tigris-Euphrates river basin is perhaps one of the most complex hydropolitical systems in the region. In recent years, the basin has been experiencing and enduring destructive conflicts both in Iraq and Syria, and since 2014 a large portion of the Euphrates river banks in both countries have been occupied by the Islamic State (see map). This include the occupation of the strategic Mosul Dam, which serves several drinking, agriculture, and energy purposes for the people of Iraq. The geopolitical importance of the Dam is so high, that in August 2014 there was a military battle led by the Kurdish Peshmerga forces, supported by Iraqi troops and external forces, to release the Dam from IS control (the precedent battle to the current ongoing operation to release the city of Mosul itself). This is a very clear example of how water is becoming part of complex politicisation and securitisation processes in the region – and, according to some, it is even a major example of ‘weaponisation’ of water. Nevertheless, great part of fertile lands in the banks of the Euphrates and Tigris rivers either still remain in the hands of IS and/or are experiencing war and conflicts. The Nile region has often being considered another hydropolitical hotspot in the region. Nonetheless, the relations between the Nile riparian states have improved significantly since the mid-1990s with the establishment of the cooperative platform of the Nile Basin Initiative including all the Nile countries, and with the implementation of some water-related investment projects through its regional centres, such as the Eastern Nile and Nile Equatorial Subsidiary Action Programmes. In parallel with these multilateral developments, in 2011 the Ethiopian government announced the construction of a national large-scale hydropower dam in the Blue Nile River. This announcement subsequently triggered a complex process of politicised technical negotiations between Ethiopia, Egypt and Sudan, which has culminated with a trilateral Declaration of Principles in March 2015. In addition, more recently in September 2016, these culminated in the agreement for studies on the transboundary impacts of the dam. 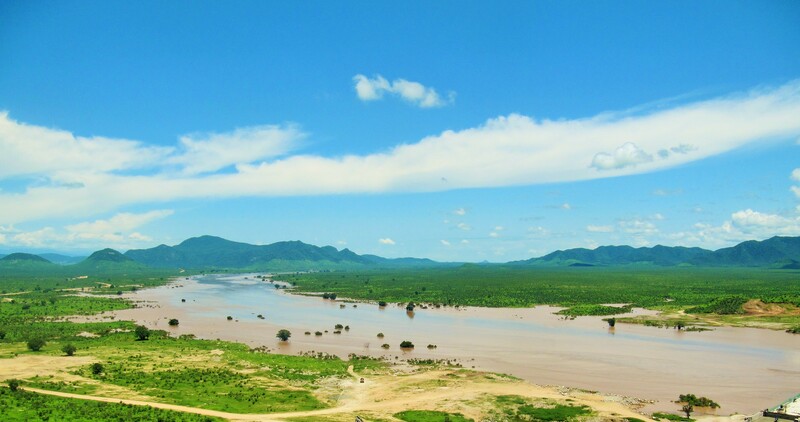 However, despite this progress, in this last month the region has witnessed signs that politicisation and securitisation might be back to the Nile Basin. This was triggered by veiled accusations regarding Egyptian involvement in the internal social unrest ongoing in Ethiopia that were promptly denied by the Egyptian government. Undoubtedly, the climate of suspicion contributes little to the hydropolitical cooperation processes (multilateral and trilateral) that are in progress in the region. Another noticeable example of hyper-securitisation processes regarding water resources is happening as we speak between India and Pakistan. The two countries have repeatedly been praised to have maintained intact the Indus Waters Treaty, despite the several bilateral conflicts they have been involved in. This uniqueness – a success story of water diplomacy and an agreement that has survived three wars without being scrapped – seems to be coming to a halt. This is because of India’s nationalist Prime-Minister Modi’s decision to use the Indus waters as a powerful political weapon and new instrument of foreign policy against Pakistan, the old rival. This came as a follow-up to a terrorist attack in the Kashmir region in September 2016, which was followed by military attacks against Pakistan-controlled areas and later bilateral boycotts. Modi’s recent statement that “blood and water cannot flow together” shows that we are already outside of the realm of normal politics. How much this will really affect the fifty-decade old water agreement and the distribution of Indus water resources is still to be seen. However, ultimately water and water agreements should serve purposes of development and peace (be it in the Indus, Middle East, or any other region), not as political revenge, struggle or scapegoat tools.